Meet Mr. and Mrs. Khumalo, who lead a church in Chibini. They have grown an extraordinary children’s ministry, bringing many young people to their church to hear the Gospel. 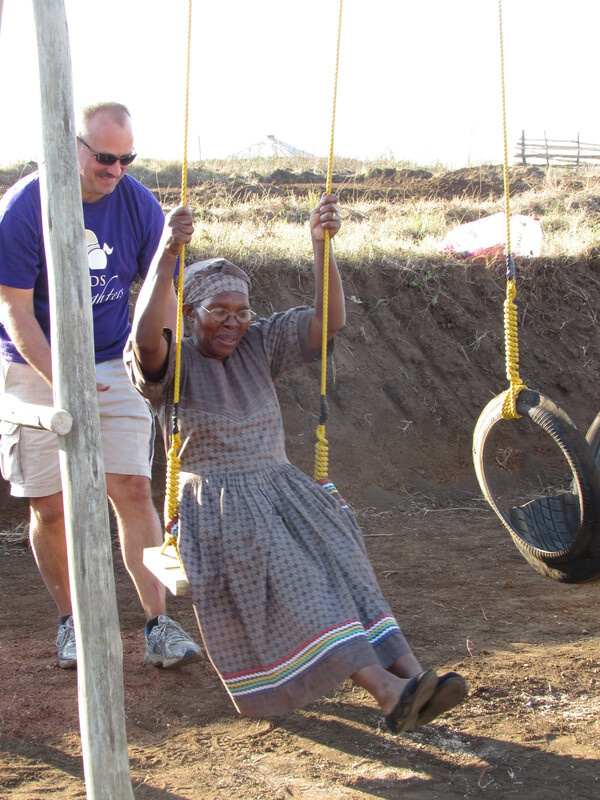 Baba and Mama Khumalo shine brightly in their community. 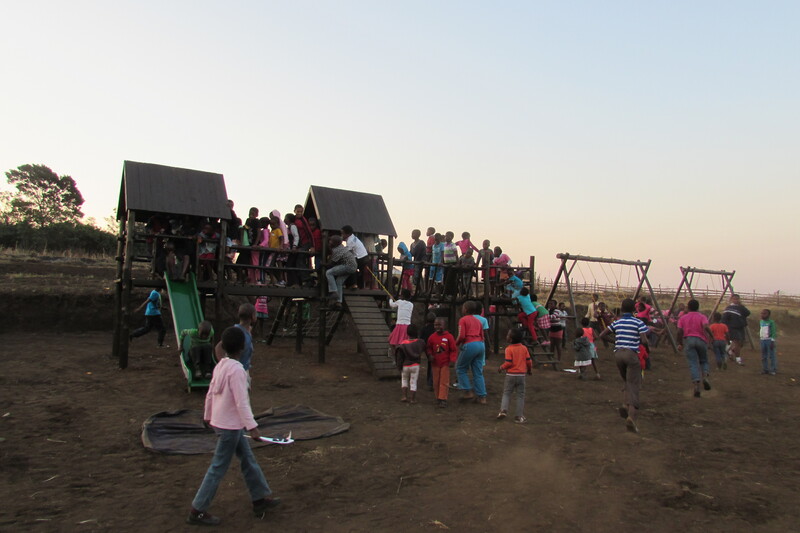 Meanwhile a whole ocean away, a group of Americans heard their story and decided to help build a playground in Chibini so that children would have a safe place to play. 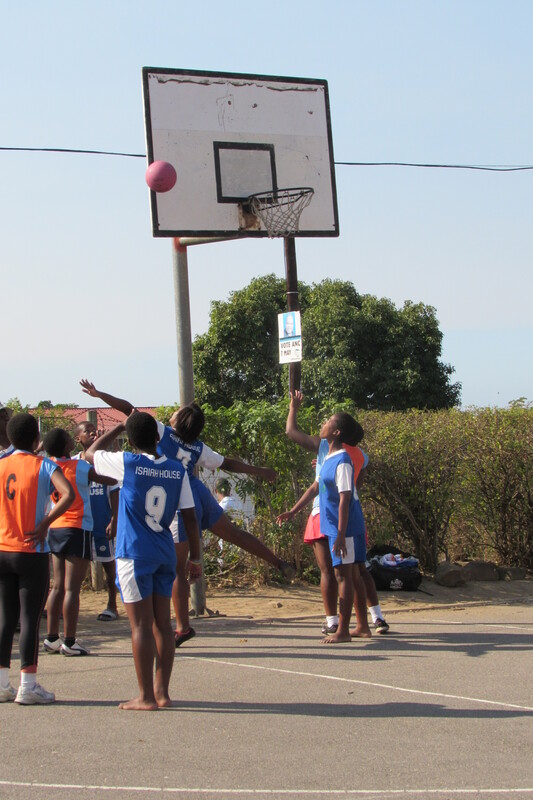 To celebrate the playground, CAST, along with the visiting American team, put on a holiday club in Chibini this week. 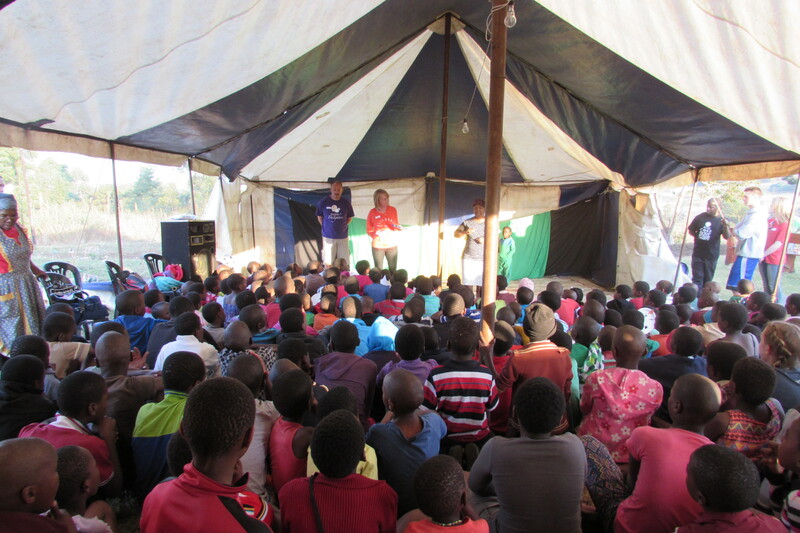 Before the holiday club even started, the Khumalo’s church blasted music to promote CAST’s event, which led to an impromptu revival for the community! At first, the children trickled in slowly. However, once word spread about a new playground and American peanut butter sandwiches, the masses came flooding in. By the time the sun was setting on Wednesday afternoon, CAST had 176 children listening to the American team share the story of David and Goliath through a translator. The theme of holiday club is how God has created each child as unique and special. 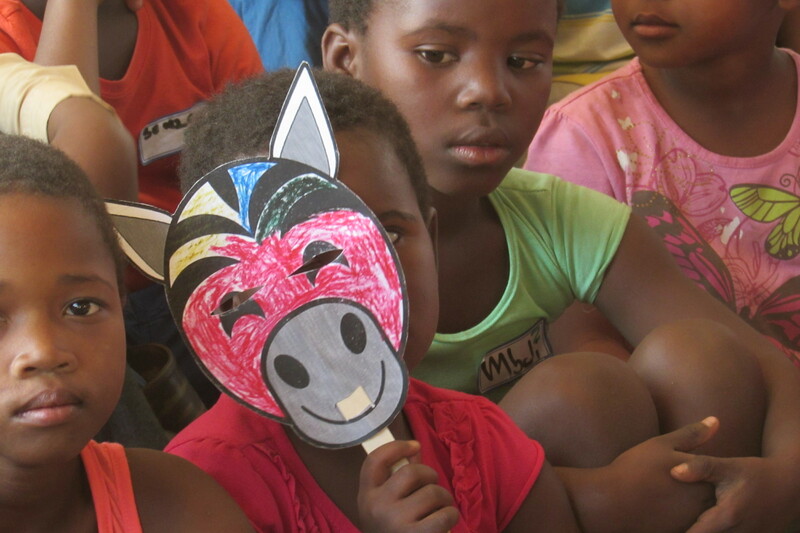 All the crafts and activities are centred around the movie Khumba, which is about a unique half-striped zebra who ends up saving all the animals in his community. CAST’s prayer is that the children will come to know that Jesus loves them deeply and has created each child to be a light in their community. 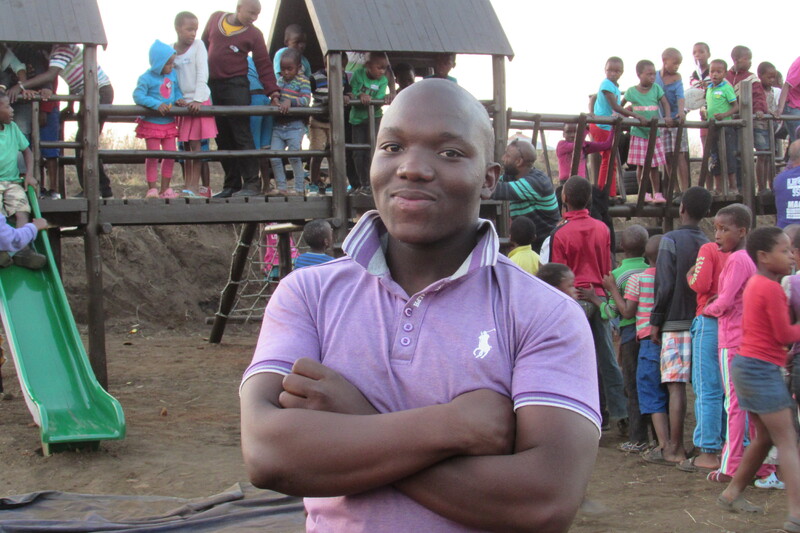 Also meet Sihle, another individual who has become a light to the youth in Chibini. Sihle is only 19 years old, but he coaches a soccer team in Chibini. 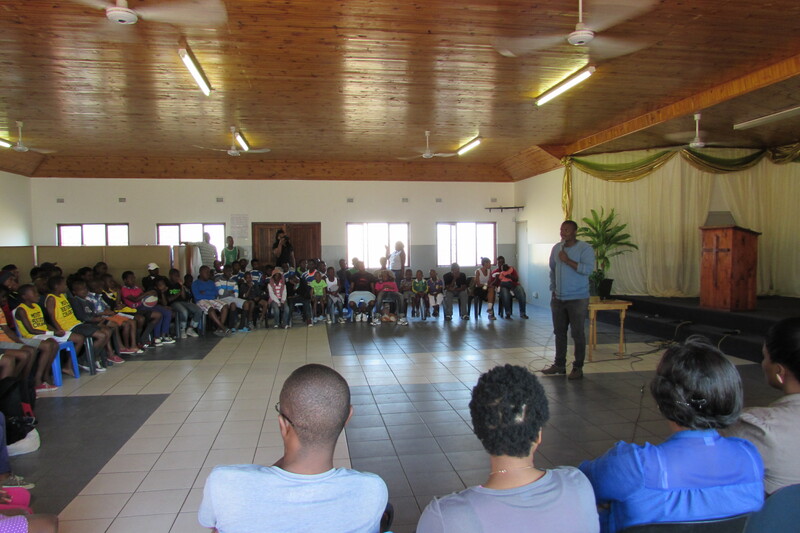 Sihle’s journey began when Bongani Mkhize, CAST’s Noodsberg Area Coordinator, invited Sihle to boys2Men camp. 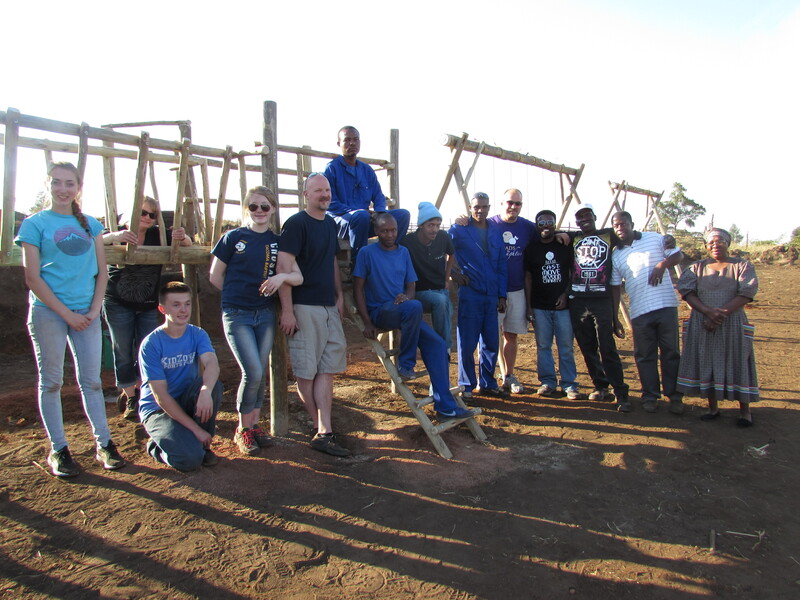 At camp, Sihle learned about being a light in his community. He came back to begin a soccer team of boys aged 13 to 18 years old. The boys play without a proper soccer ball, shoes, markers, or jerseys. The uneven open field they play on is nothing close to a proper pitch, but the boys come faithfully to practise. 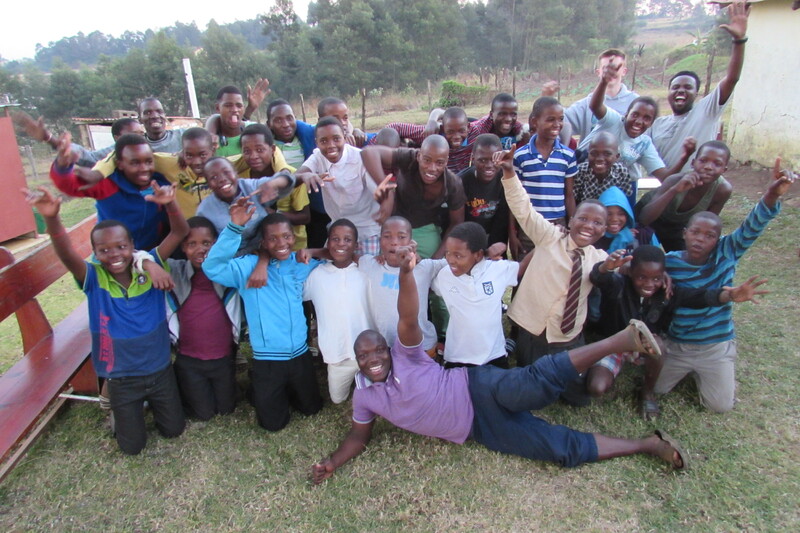 Sihle always prays with his boys and encourages them to focus on soccer and school. 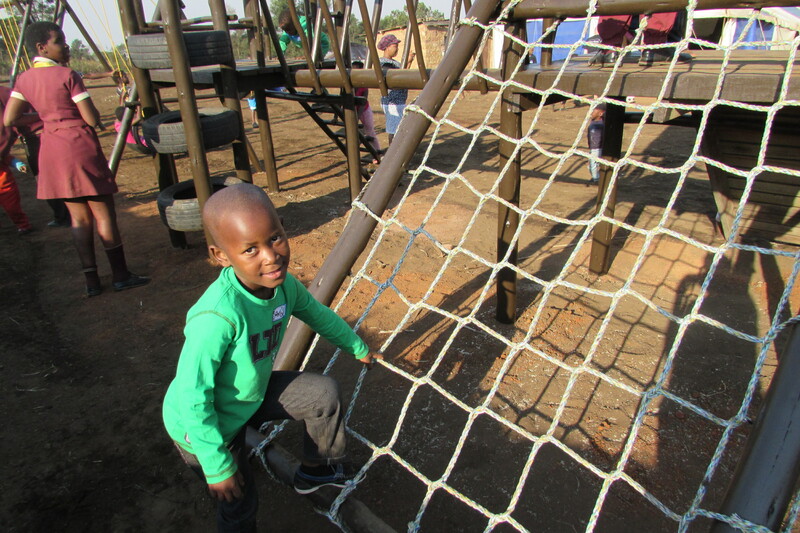 In a community where father figures are largely absent, Sihle is able to be a light by pointing his boys to Christ. As holiday club comes to an end this week, we pray that this week will be the beginning of many children coming to know and love Jesus through light of individuals like the Baba & Mama Khumalo and Sihle. Remember to pray for Chibini! This generation of youth stands at the border-line between the past of oppression and repression, and the future of prosperity, peace and harmony. Today’s generation of youth face the same challenges on the “border-line” of change. Social issues like drug abuse, fatherlessness, poverty, and HIV/AIDS face the young people today, especially in the communities where CAST works. On Monday, CAST remembered the Soweto uprising in 1976 through a Youth Day celebration in KwaDabeka. 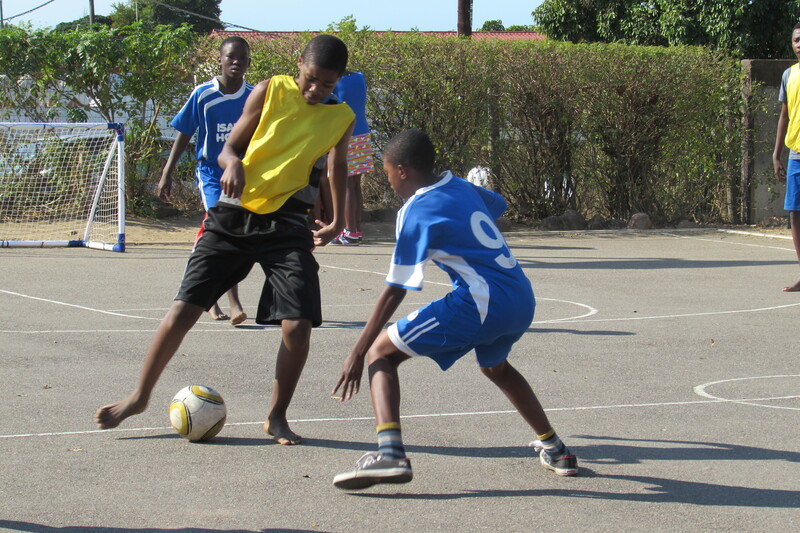 Local youth celebrated through basketball, soccer, dance, and music. 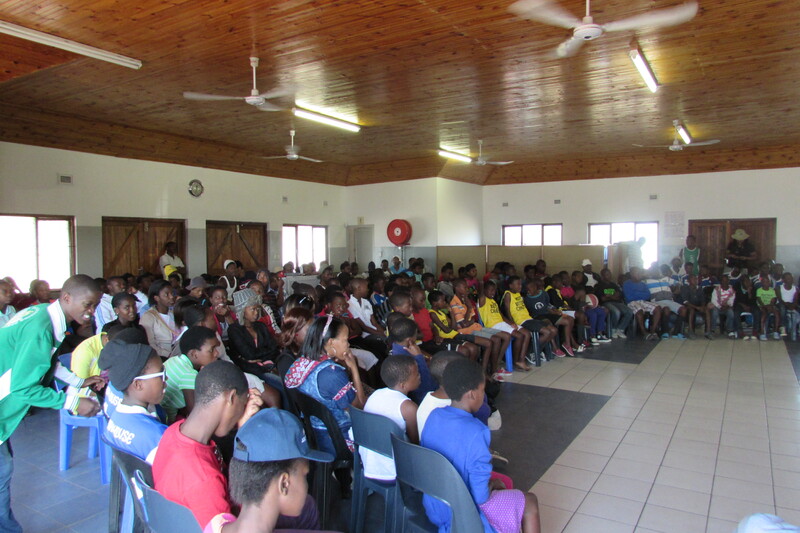 Ambu Madilonga, Westville Baptist Church’s Youth Director, spoke to the youth about the Soweto Uprising and the meaning of Youth Day in South Africa. Ambu shared his story about meeting Jesus and also about the importance of young people. The theme of KwaDabeka’s Youth Day Celebration was “Young, Gifted, & Blessed”. The focus was on the value and worth of young people, and finding their God-given purpose. While there are many obstacles and challenges facing the youth in CAST’s programmes, Youth Day 2014 was a reminder of the bright future that God has in store for every young person. 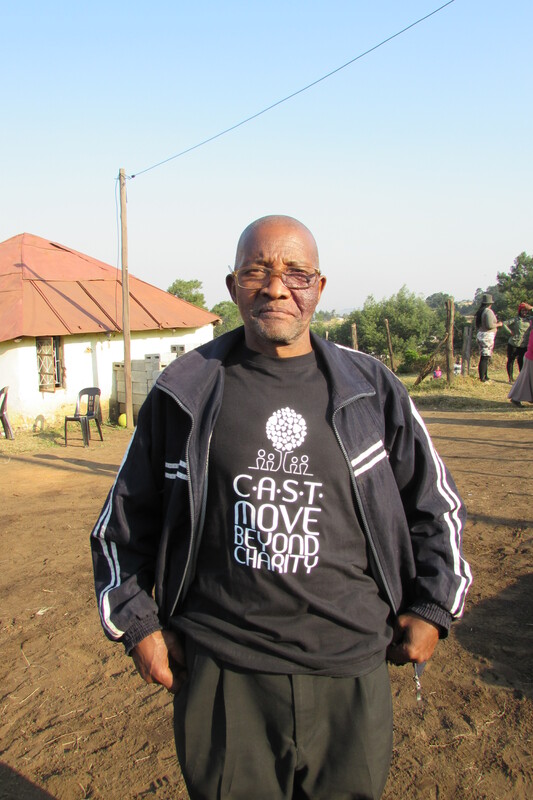 A few weeks ago, we heard about Jupiter, who attended CAST’s literacy programme training. 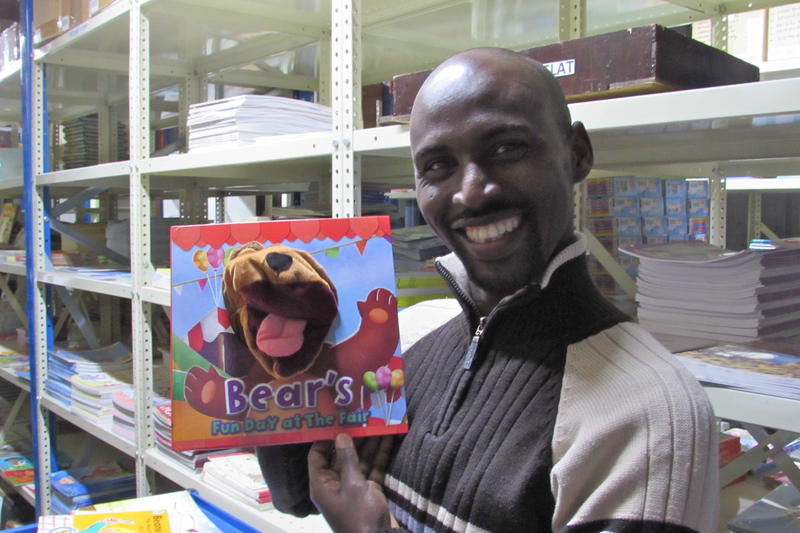 CAST’s literacy programme is based on another programme called Wordworks, which was established in 2005 to support and improve early language and literacy learning among children from historically disadvantaged communities in South Africa. CAST received book donations for Wordworks from a local book supply company called Books2You. 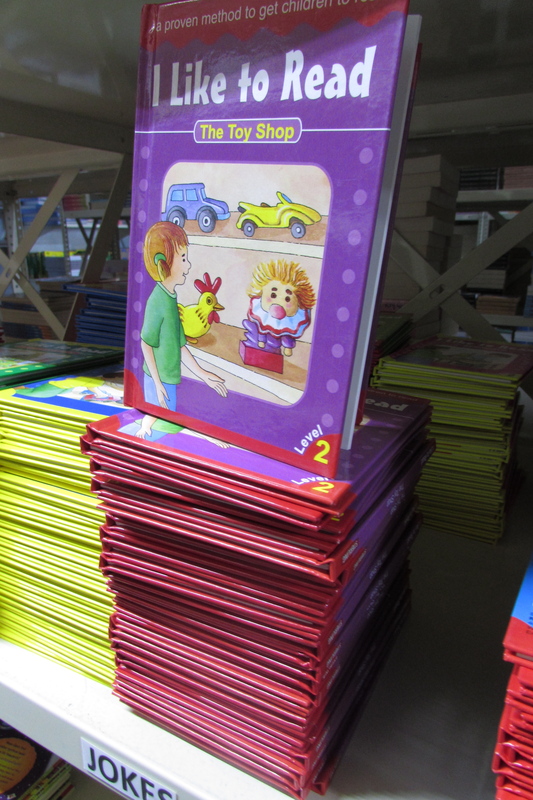 The books were intended to go to Westville Senior Primary, but the school decided to donate them to CAST’s literacy programme instead. This generous donation will allow children in local communities to develop their reading skills, while also developing a lifelong love of reading and education. 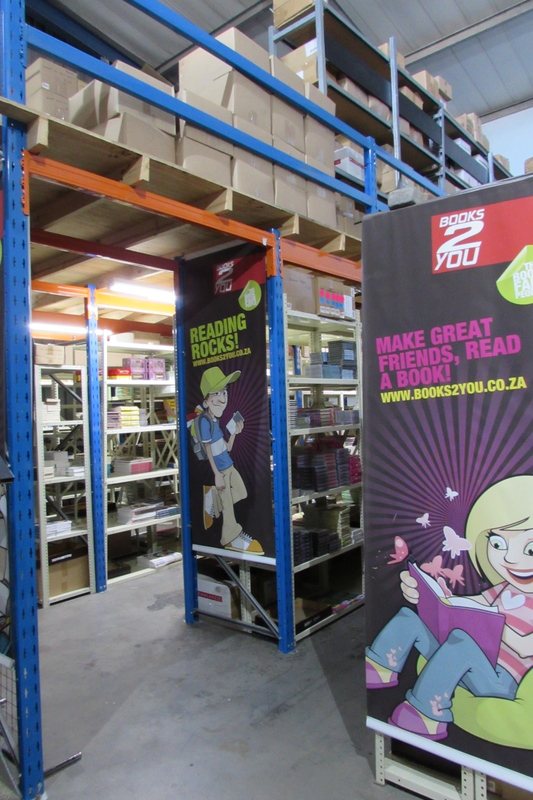 A big thank you to Westville Senior Primary School and Books2You for their thoughtful donation! Meet Lindsay, a business mentor to Lindiwe in Lamontville (from last week’s story). Lindsay is a mom from Westville; she has triplets in Matric. She also works for her husband’s business. After Bridgette, the founder of business forum, encouraged Lindsay to volunteer with CAST, Lindsay decided to become Paradigm Shift trainer in KwaDabeka and Lamontville. Because of her experience as a trainer in a bank, this was a great way to volunteer. However, when Lindsay was asked to become a business mentor, she was hesistant. She was unsure how to help, especially when she compared herself to other mentors. Eventually Lindsay agreed, and she was paired with Lindiwe who owned a tuck shop in Lamontville. Their mentor relationship developed, and one day Lindiwe mentioned a new business opportunity. Lindiwe observed that policemen from the station nearby always went to KFC for lunch, so she wanted to sell crumb chicken from her shop. Lindsay knew she had a friend who made wonderful crumb chicken, so she invited Lindiwe into her home to learn how to make the chicken from her friend. Lindiwe was able to expand her business, all because Lindsay had a connection. Lindsay says about volunteering, “You have to accept what you can do.” Not everyone can volunteer all their time and resources, but everyone can volunteer some of their time and resources. Another volunteer for CAST is Nick. 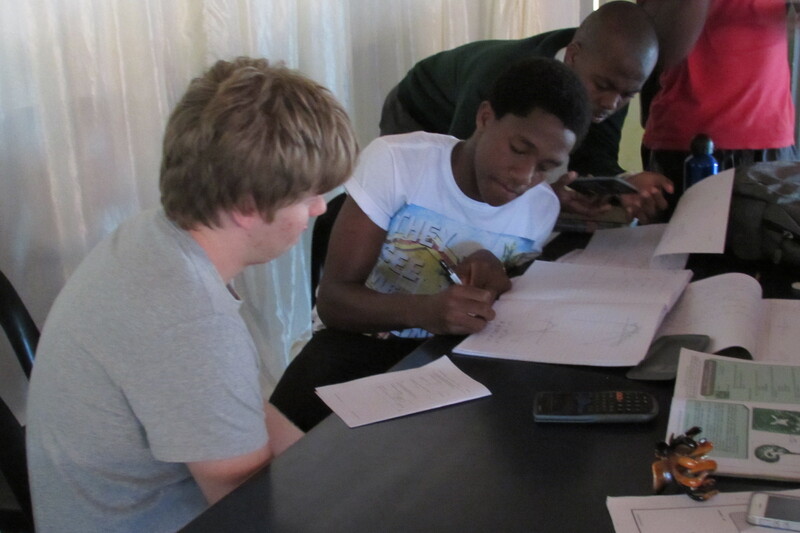 Nick tutors guys on the KwaDabeka basketball team who are struggling with maths and science. He comes once a week on Friday afternoons with his friend Corinne to help with homework. Volunteering is about ordinary people doing ordinary things for the sake of the Kingdom of God. Everyone has something to offer! 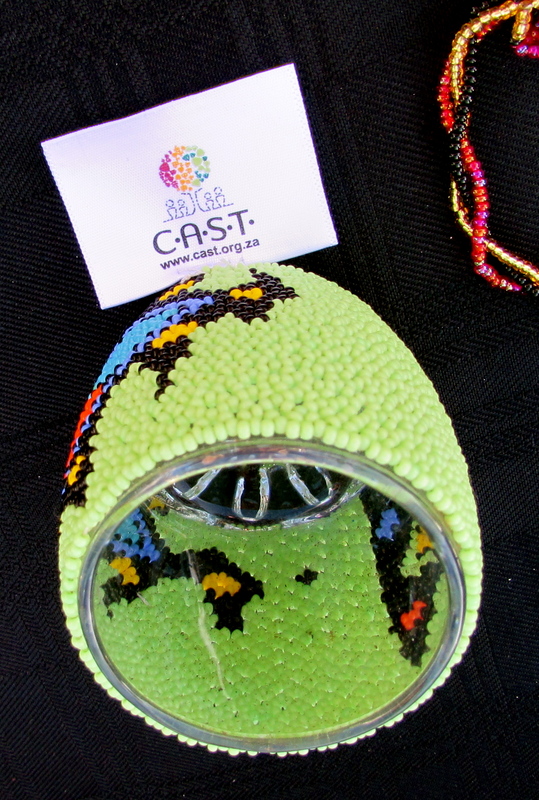 CAST has many opportunities to volunteer in Poverty Relief, Counselling, Youth Development, Educational Assistance, and Business Development. If you are interested in volunteering with CAST, make sure to attend Westville Baptist’s Ministry Fair this Sunday, which is open after each service, and talk to one of our staff members about how to get involved. Meet Buhle (in the picture above, on the right). 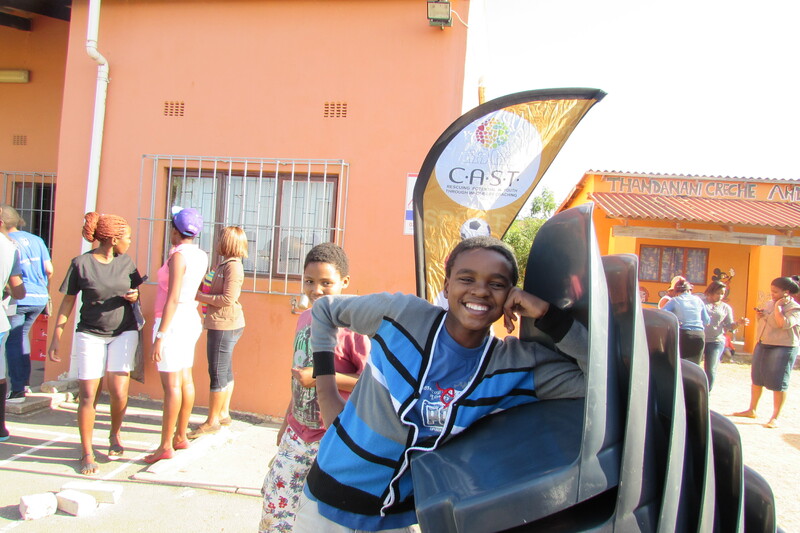 Buhle first heard about CAST business forum from Themba, who runs a car wash business in KwaDabeka. 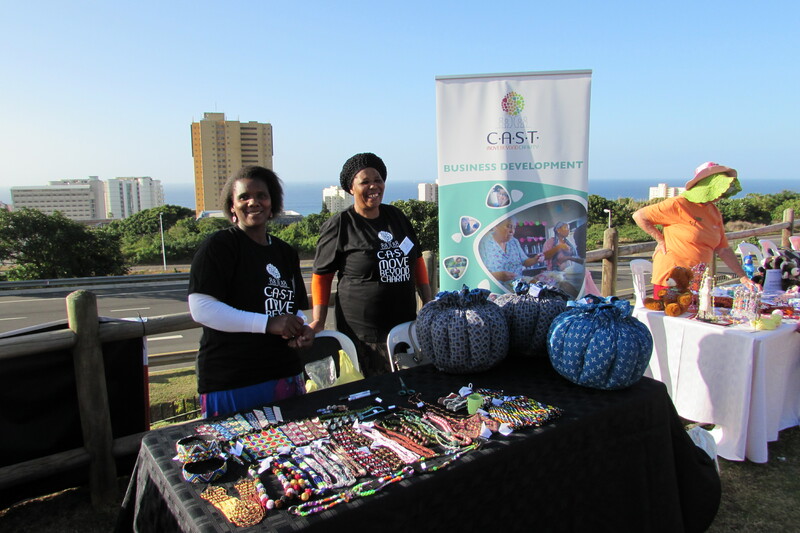 Business forum has enabled Buhle to further develop her business through selling at other venues such as Hope Market. 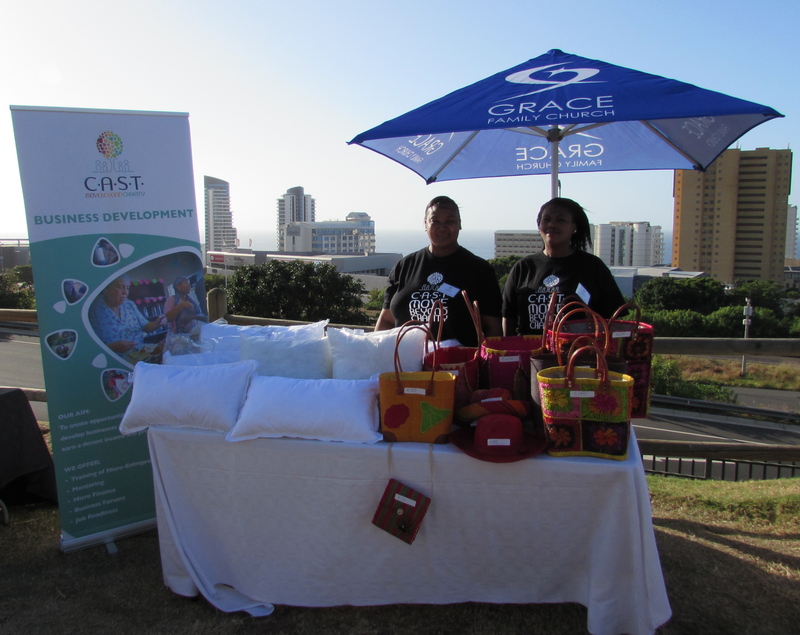 Buhle sells hand-made purses and pillows. Crafting her purses is a lengthy process, as she even has to dye the materials different colours. 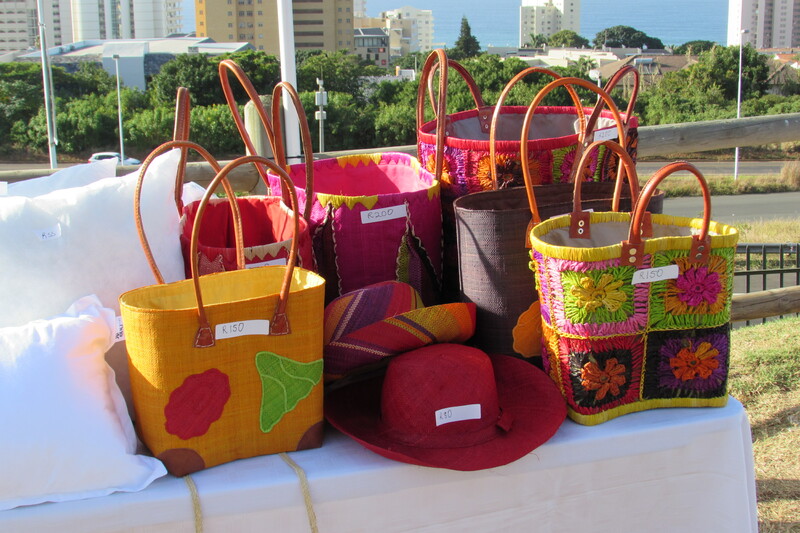 Buhle’s purses were all sold by the end of the day! Most of the business forum participants finished the market early, as their products sold quickly. Make sure to watch the CAST Facebook page for updates about future markets where you can come and support CAST business forum participants!